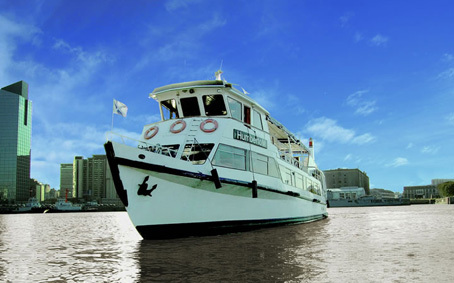 It is the essential tour for anyone visiting the city whatever the reason of the trip may be. 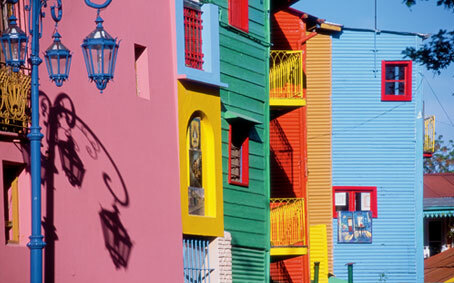 Diverse aspects of this amazing city with its strong contrasts are discovered along the way. 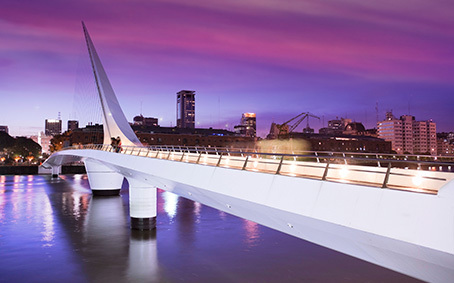 The architectural legacy of colonial times, its modern buildings and the significant business activity combined with the traditional culture from Córdoba city provide the visitor with a vast range of options. Leaving from our hotel, in modern vehicles, with the aid of a professional guide, we get to San Martín Square, from where we start a walk to the historical and cultural center. The Cathedral, the ‘Cabildo’, the ‘Oratorio del Obispo Mercadillo’ the Santa Catalina Convent, the ‘Cripta Jesuítica del Noviciado Viejo’, the Religious Art Museum ‘Juan de Tejada’, the Montserrat School, the ‘Rectorado de la Universidad Nacional de Córdoba’, the ‘Compañía de Jesús’ and the church, among other traditional places, are visited. 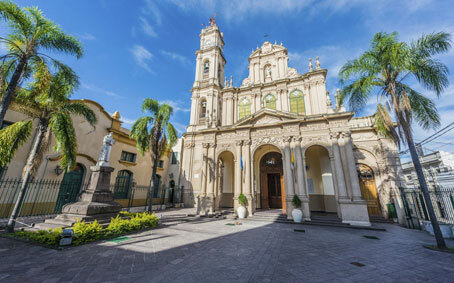 The tour continues towards the Neo Gothic Church of Padres Capuchinos, Nueva Córdoba neighborhood, Sarmiento Park, Caraffa Museum, the University Area, along the city center up to Córdoba Shopping center, where we can go round for a while if it is open. Later, Cerro de las Rosas neighborhood, Chateau Carrera football stadium and Complejo Ferial Córdoba are visited. Way back to hotel. 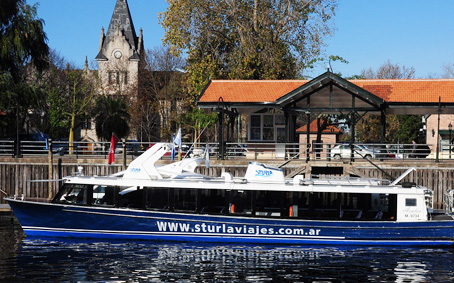 Touring the Capital City is enjoying peaceful people, well preserved Scauares an historical city center with beautiful buildings fused with modern constructions. 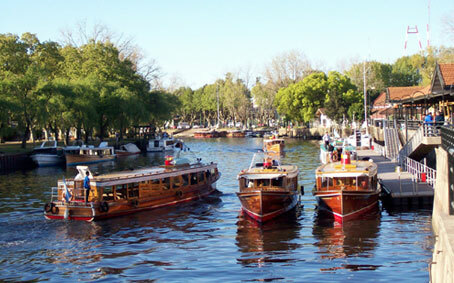 It is an old City with a long story to tell forming the conquerors to the independence war and national constructions. 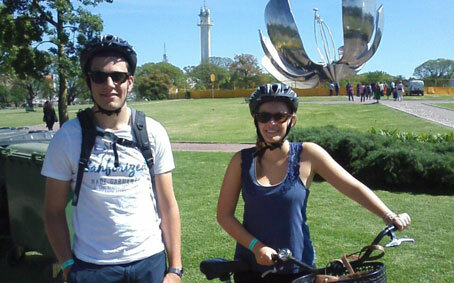 We start the City Tour from a hill next to the city to appreciate the panoramically view and have an idea of the location and distributions, we go back to the city and visit the government house ad the flags saloon with an historical flag of Belgrano and the Main Plaza and Cathedral, a view of the city hall of the colonial times (Cabildo) and walking Belgrano Street two blocks we visit historical museum with the option of visiting Archeological museum and the centenary Mitre theatre. We finish the tour in the artisans walk, next to the old railway station. This is a complete tour of the city, visiting the most traditional residential neighborhoods with beautiful homes built with the typical native stone used in building, the abundance of wood and red tiles, prize winning gardens renowned for their designs and beauty. We will pass by the Water Tower, also built of stone, on the way to Alem Commercial Centre, the port and Grotto of Lourdes. A visit to the Fishing Port, with its picturesque fishing fleet and colony of sea-lions is a must as well as our famous Punta Mogotes beaches from the port to the Lighthouse; the Forest of Peralta Ramos, and golf courses. 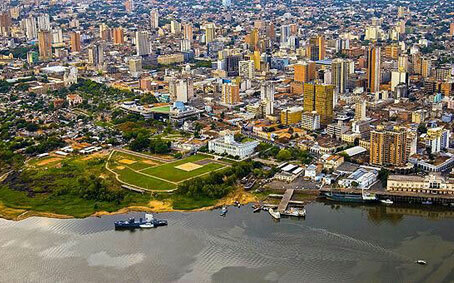 Returning to the city centre along the coast you will see San Martin Park, Cape Corrientes, which is the most advanced point of the coast into the Atlantic Ocean, beaches and casino. 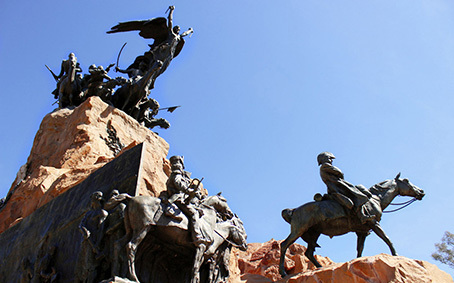 We will continue our visit by area of La Perla with it monuments to Alfonsina Storni poet and the famous Don Quijote and Sancho Panza. And finally, a visit to the downtown area: the town hall, the Cathedral and San Martín Square, with it monument to General San Martín remembering his last years. 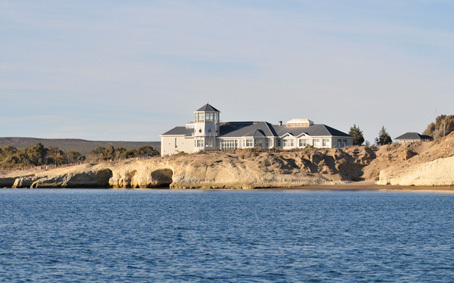 Departing from Puerto Madryn southwards, and skirting the coast, we will pass different beaches. The first of them is Kaiser Beach, which ends in a big dune where sandboard is practised. 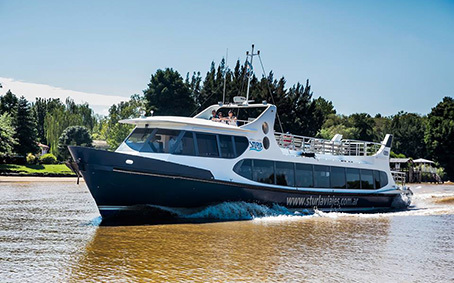 After touring other beaches we will reach Paraná Beach where the top of sunken Folias Ship will be appreciated. It is ideal for snorkelling or diving. After 20 km we will arrive at Punta Loma where we will watch an elephant seal colony from a watchtower. City tour visiting the most representatives’ places, such as: the National Flag Heritage, the Cathedral (sanctuary devoted to Our Lady Virgin of the Rosary) from the late XIX century, Plaza 25 de Mayo (25th May Main square), El Circulo (circle) Theater; Boulevard Oroño -plenty of historical public and privates’ buildings, with many mansions of the richest families of the city-, Juan B Castagnino Art Museum, Parque España (Spain park) on the coastal line of the Parana river and Independence Park, the first in the city opened in 1902. 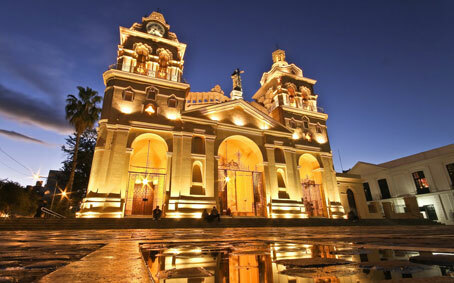 Salta city was founded in 1582 and it still has a Spanish nature that makes it distinctive from the rest of the Argentinean capital cities. The surrounding hills provide the setting for the colonial style houses and churches that outline its urban features. 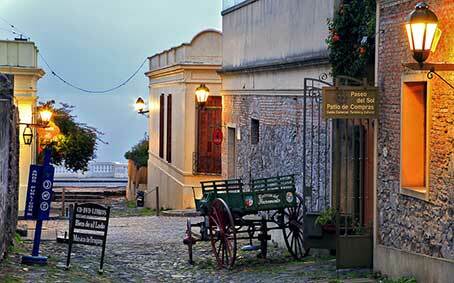 Pass through its churches and museums: Cerro San Bernardo with a panoramic view of the city. Later visit San Lorenzo summer villa, 10 km away from the city, National University, Vaqueros River, Quebrada de Castellanos, Lesser and Crafts Market. 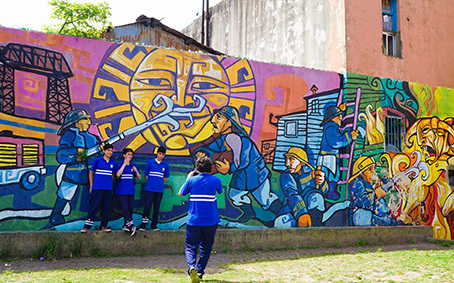 Tucumán city has a diverse collection of attractions, mostly with cultural significance, as well as many parks and plazas just waiting to be discovered. 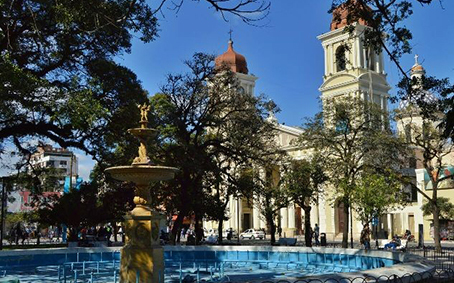 At the center of the city lies the mythic Plaza Independencia surrounded in all directions by important buildings with great architectural value: July 9 Park, Bishop Colombres House, Cathedral, Government House and San Francisco church, Historic House, Belgrano and Urquiza square. 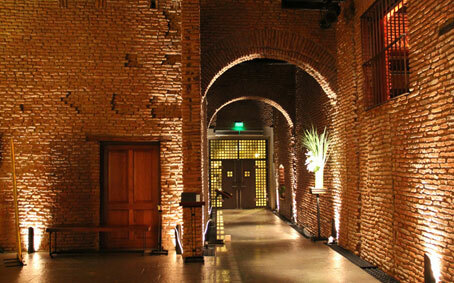 Visiting: Foundation Square, Cathedral, Cabildo and Solís Theatre. 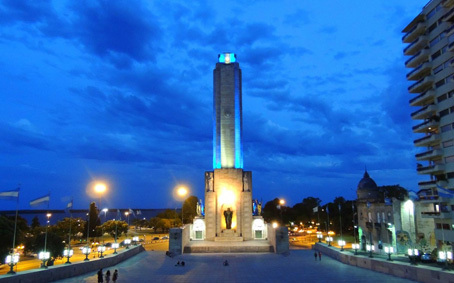 Independence Square, Mausoleum, Down Town, 18 of July Av., Municipal Building, Legislative Palace (Congress) (Ticket not Included), La Diligencia Monument, Prado’s Park, Presidential House, Government House, Batlle and Ordoñez Park, Obelisk, La Carreta Monument, Centenary Stadium, Residential neighborhoods, like Carrasco, Punta Gorda, Virgilio Square with fait monument. 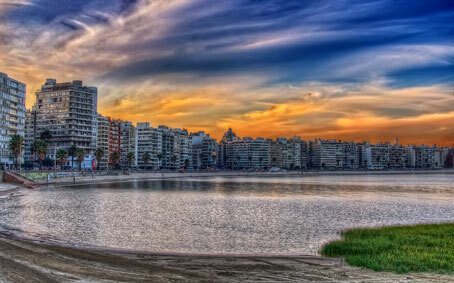 United National Rambla and different beaches along its shore. Includes the peninsula highlights: Ave. Gorlero, Port, Candelaria Church, lighthouse, promenade, De las Americas stroll, Brava beach, San Rafael and Rincon del Indio neighborhoods. La Barra beach with its undulating bridge, Indigenous Park, Beverly Hills neighborhood, Cantegril and Maldonado city. 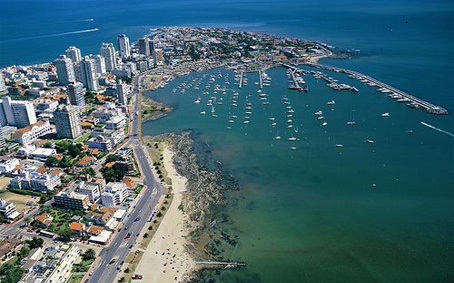 Then Mansa beach, Punta Ballena with Casapueblo (optional entry) and back to Punta del Este. 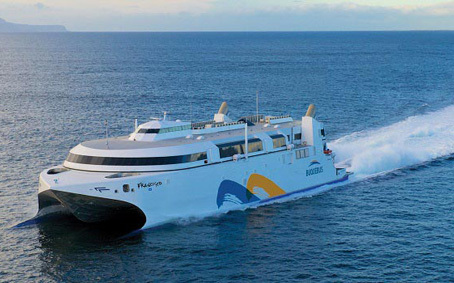 Departure towards Puerto Montt to start your visit to the Plaza de Armas and the Cathedral of the city. The tour continues to the top of Melipulli, one of the hills that offers a panoramic view of the harbor, Tenglo Island and the small Bay of Reloncaví. 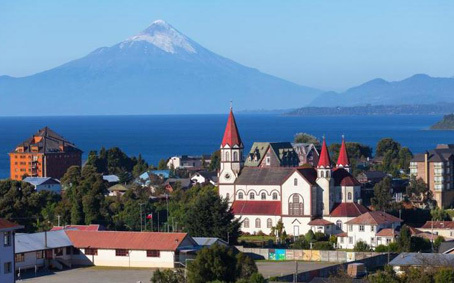 Continue your journey and stroll along the beaches of Pelluco and Chinquihue. 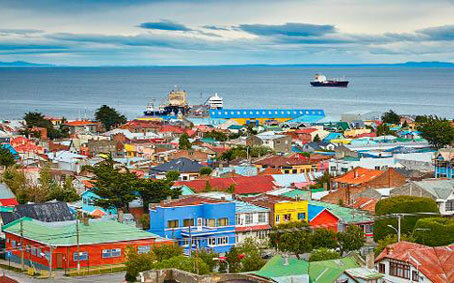 In Puerto Montt there are a variety of tourist attractions that enhance its beauty such as the colorful seafood market where you can see fishermen going about their daily business, and the handicrafts market of Angelmó, with a variety of copper, wool, wood and lapis lazuli products. You will have the chance to taste some of the typical local seafood dishes. 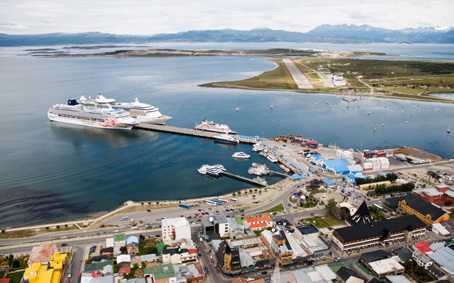 We begin our tour stopping at the viewpoint of "Cerro de la Cruz", from where you have a wonderful overview of the city with its colorful roofs, the Strait of Magellan and in the background the big island of Tierra del Fuego. 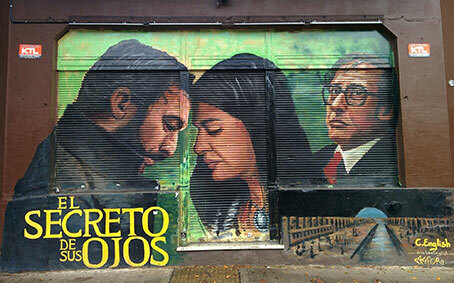 Later the tour goes to the main streets and monuments, then visit the Salesian Museum "Maggiorino Borgatello", founded by the Salesians of Punta Arenas in 1893, it is therefore one of the oldest of its kind in Chile. This museum houses a comprehensive collection of Patagonian tribes, flora, fauna, history and economy. Then visit the "Palacio Sara Braun," the story of the pioneers of Patagonia has some protagonists wrote pages in both countries Argentina and Chile . The Braun family was one of them and the city of Punta Arenas is the place where they lived and forged his destiny. 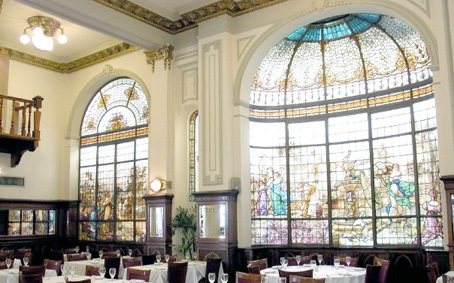 Near the Plaza de Armas, in addition to know the cathedral, the government building, the traditional hotel Cape Horn, are Sara Braun Palace and Jose Braun Menendez residence two mansions worth visiting for understand the influence of the family on the origins of the city. All this will allow visitors to have a thorough knowledge of the city. Departure from hotel in Santiago. 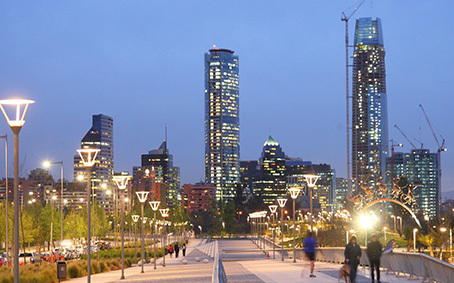 The trip starts with direction to Santiago center where it is possible to know the main places of the city. During the trip, there will be a panoramic view of Bellavista Neighborhood, Mercado Central, Estación Mapocho and Museo de Bellas Artes. 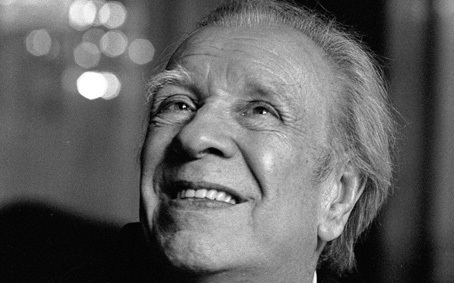 Guided visit to Cerro Santa Lucía. Return to the bus and arrive to the main square from where it is possible to see the Santiago Cathedral, Municipality, Post Office, National history Museum. The trip continues with a panoramic view of former National Congress. Arrival to Govern Palace, guided visit. The excursion continues with view to Club Hípico, University Neighborhood and visit to Concha y Toro neighborhood. During the return, view of Modern Santiago and arrival to the Faba, handicraft shop, specialized in lapis lazuli jewelry, stone found only in Chile and Afghanistan. Return to hotel in Santiago. Departure from hotel in Santiago towards the Pacific Coast passing through the valleys of Casablanca and Curacaví. 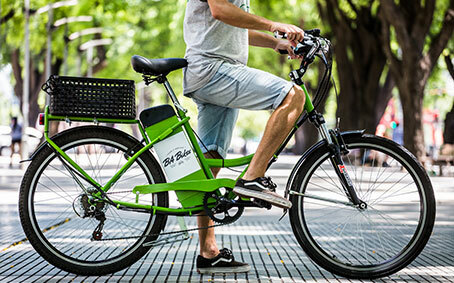 The first visit will begin in Viña del Mar (120 km away from Santiago), also known as the “Garden City” due to its great amount of parks and well-kept gardens. Stop to visit the beautiful park Quinta Vergara, the Carrasco Palace and meet face to face with a Moai brought from Easter Island. Then continue along the most important ocean front of the central coast, to later reach the famous clock of flowers of the city. 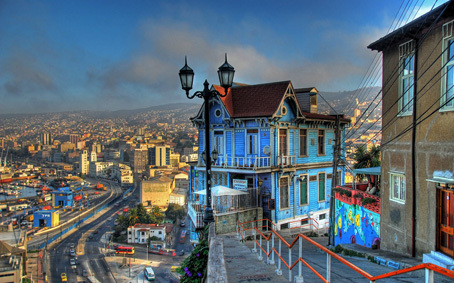 Later arrival to Valparaiso, declared World Heritage Site by the UNESCO, filled with colorful houses among the hills, parks and diverse National Monuments. 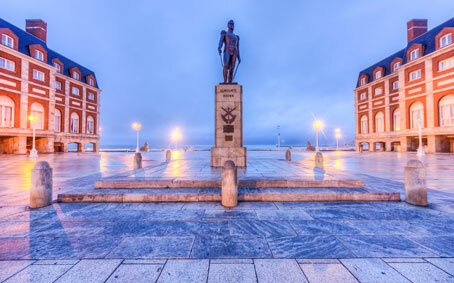 One of its attractions is the Sotomayor Square, an important civic square located very close to the principal port of Chile. Lastly, at this point, navigation through this port bay, where the view of Valparaiso is most appreciated. 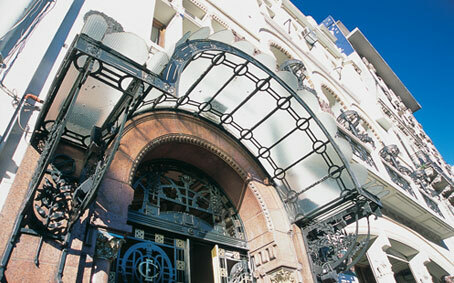 During the afternoon, return to hotel in Santiago. Lunch is optional. Corcovado lookout is set 709 m.a.s.l., at the very top of the mountain with the same name. 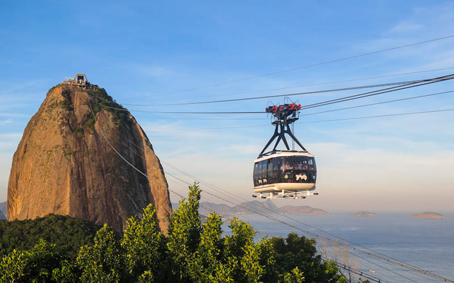 From there, the visitor can see nearly the entire city of Rio de Janeiro. 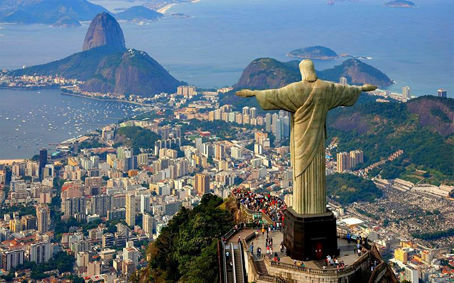 Also located at this world-famous tourist site, is the “Cristo Redentor” statue (Christ, the Redeemer). It is accessible by car, using Corcovado road, but we will arrive by train, departing from the Cosme Velho station. Corcovado is set right in the "Tijuca Rainforest National Park” (the largest urban park in the world) which is in the heart of the city of Rio, being considered by locals as the “lung of the city”. From Copacabana the bus takes the route through tunnel "Rebouças", which intersects the surrounding mountain range, reaching "Laranjeiras District". From there, a cogwheel train, constructed by Swiss engineers, takes visitors up–passing lovely parts of the forest allowing visitors to have panoramic views of the city while climbing up. Finally, after reaching the mountain top, escalators are available as well as elevator to assist passengers reaching the statue – which stands on its 28 meters of height. And the most marvelous view of the city. Lunch is optional. 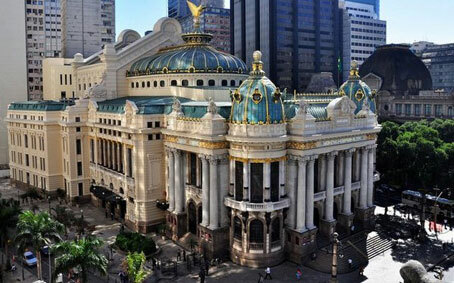 This is a unique walking tour which gives visitors a feeling of the legends and stories that woven the narrow streets and old historical buildings of downtown Rio. 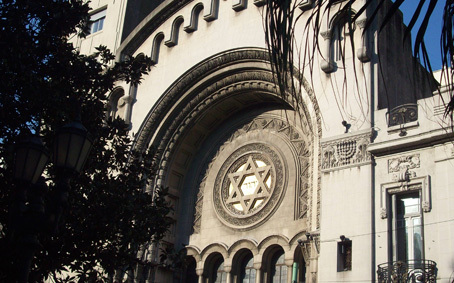 The walk includes a visit to many interesting points, such as Sâo Bento Monastery, Calendarioa Church, Praça XV, Travessa do Mercado, Imperial Court, the cultural center located in the beautifully-restored Banco do Brazil, Casa Fraça, Ouvidor Street and Gonçcalves Dias Street with the traditional Confiteria Colombo. The walk continues to Uruguaiana Street, Carioca Square up to the Metropolitan Cathedral where you will board the transportation to go back your hotel. You will visit the main sights of Sao Paulo, as the imposing Cathedral Da Sé and Pateo do Collegio, the foundation place of this metropolis. 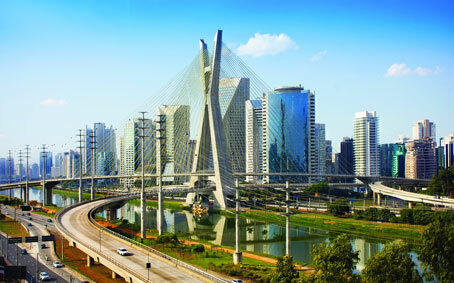 You’ll follow to Liberdade neighborhood, the Japanese side of Sao Paulo, and then to one of the most sophisticated areas of the city, the region of Paulista Avenue, where is located the MASP (Sao Paulo Museum of Art) and the neighborhood called Jardins, with it’s fantastic designer shops and imported cars. 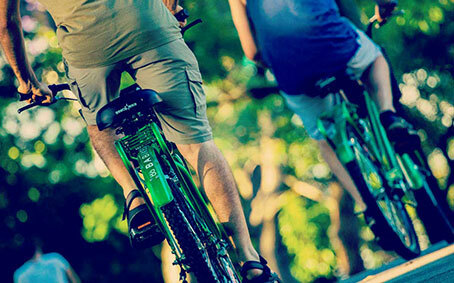 You will also visit Ibirapuera Park, with a green area of 160 hectares, in addition to other important landmarks such as the Monument to the Flags and the works of the famous architect Oscar Niemeyer. 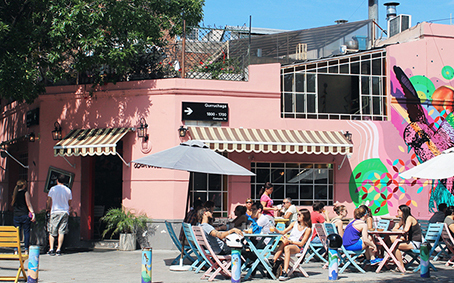 On this tour you will have the opportunity to visit the Municipal Market, where can stop to lunch. 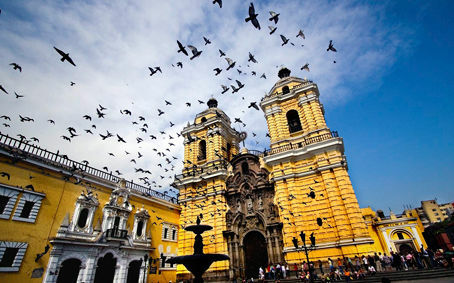 This tour includes a ride to see Lima’s colonial Churches, Palaces and Promenades, San Martin square, the Main Square, the Cathedral, the Government Palace, San Francisco Church. 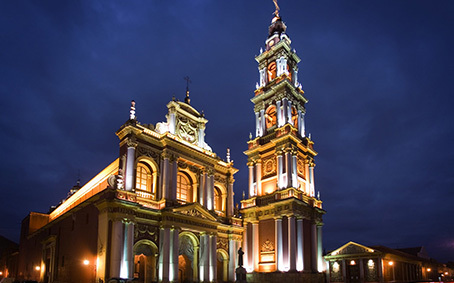 You also will visit Lima’s residential areas: San Isidro with its Olive grove, Miraflores with its Central Park, as well as a pleasant drive along the Costa Verde, Lima’s Ocean front to enjoy a magnificent view of the Pacific ocean. The Sala Museo Oro del Peru exhibit 167 works in gold and other precious metals, produced by north-coast Peruvian cultures. In the tour you will be available to be witnesses of the treasure of the Sican room, which concentrates the best selection of golden pieces. 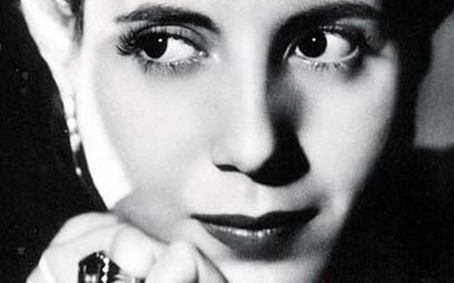 In this exhibition you can admire the beauty and complexity of pre-Columbian art from Peru. You can also see beyond the luxury of gold and precious metals and learn the symbolic and sacred value they embodied for Pre-Hispanics. 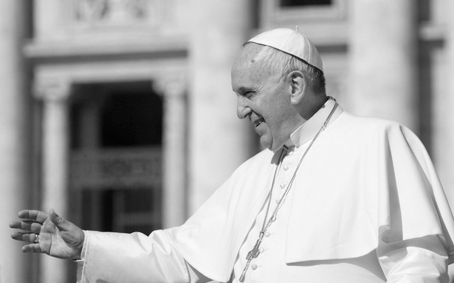 You can also discover the preponderant value of metals in their habits, rituals and culture. You will have an experience unmatched a unique opportunity to come into contact with a Pre-Hispanic vision of the universe. 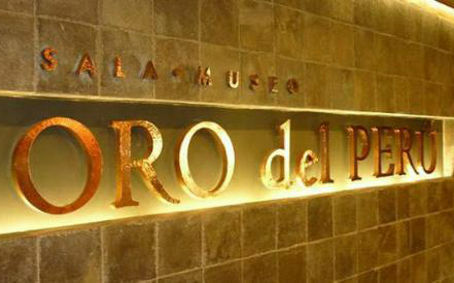 The Sala Museo Oro del Peru is open daily from 10:00 am. To 10:00 pm. at Larcomar Shopping Center.